Filming in Ghana — Empower Playgrounds, Inc.
Empower Playgrounds, Inc. was grateful to partner with the film company Elements in Motion Film to document our current projects and the impact we have had in Ghana. 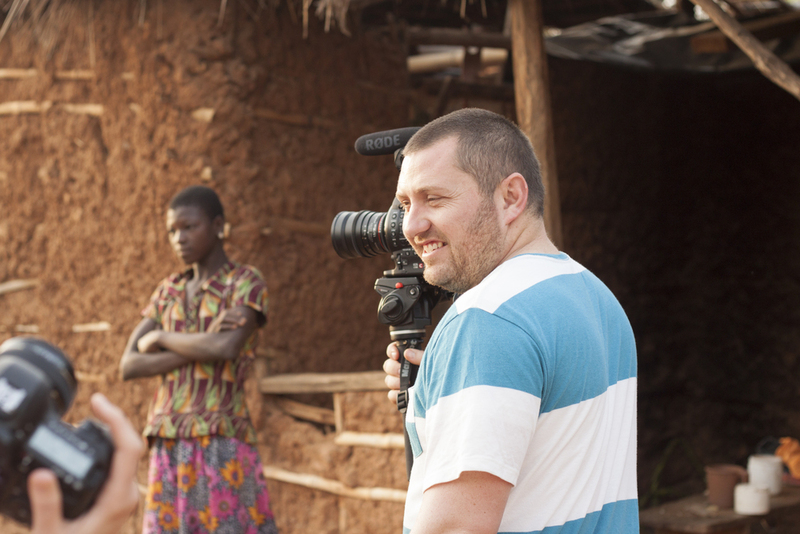 We spent the majority of time filming at the Bahankra Primary school located in a lush jungle area in the Ashanti Region of Ghana, West Africa. Bahankra provides a unique background as it was the first EPI school to receive a borehole and a BioFil toilet and is located in an area that is not likely to be connected to the national electricity grid for the next 20 to 30 years. Dan Kettle, was an excellent cinematographer and director. He is the president and founder of Elements in Motion Film and we are so grateful he was willing to travel around the world to work for/with us. Heidi Kettle, was are amazing second camera person and assistant director. She was pivotal to helping capture the story of Empower Playgrounds and with her background in elementary education, she was great with the kids. Crys Lee, was the project manager of this documentary and helped with scheduling and planning the expedition. She also played an important role in the creative process as we envisioned how the EPI story should be told. George Thompson, developed the new talent of film assistant. George critical to helping to translate when English proved difficult, but he also assisted in helping to frame shots. Filming in a rural and remote location makes things interesting. There is no internet and barely any cell signal and remember there is no electricity. So the children have never seen film equipment. Most of them have never seen a picture of themselves. They live their lives perfectly happy without any of these things, but when they see a picture of themselves or a video, it is exciting and unique. It is difficult to pull out a camera without drawing large crowds of children. With the help of teachers and planning our filming around class-time and school breaks, we were able to control the crowds, but we were happy to share when our breaks matched up with theirs. "It is impossible not to fall in love with the children in Bahankra. They were so full of life and curiosity." Bringing all the film equipment from the USA to Ghana proved to be a unique challenge and Dan and Heidi had to plan carefully to know exactly what they would need to bring. Because of the amount of travel and to avoid issues getting through customs they were able to fit everything in two checked bags and a few carry-ons! Dan and Heidi were excellent sports as we dragged them around Ghana and showed them some of the schools that are special to EPI. Temperatures were high between 88 and 90 degree Fahrenheit and 90 percent humidity. We drank a lot of water and applied sun screen regularly. We were a very happy, very tired crew when we finished filming.